When contemplating where to find the best food during a WDW vacation, the most likely conclusion will be to choose a restaurant in World Showcase or one of the many resort locations across the property. 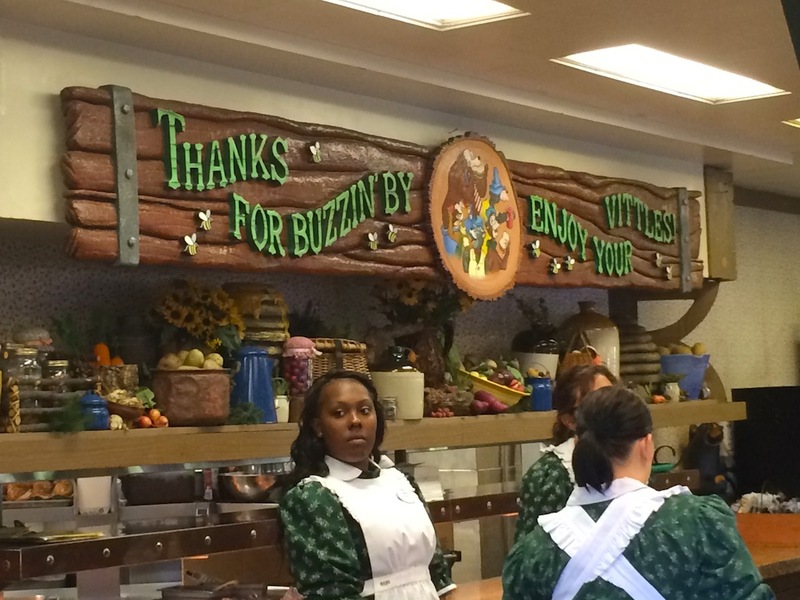 For the seasoned WDW veteran, quick service options are usually bypassed for something of better quality. 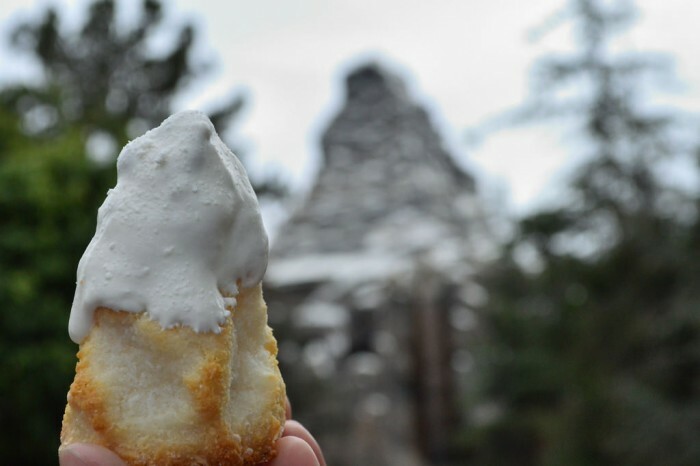 Most quick service locations serve similar fare to their counterparts located around the parks, which many find to be less than stellar across the board. One thing I was looking forward to in Disneyland was trying the variety of quick service foods, of which I’ve heard nothing but stellar reviews. Right from the get go, this proved to be a wonderful truth. 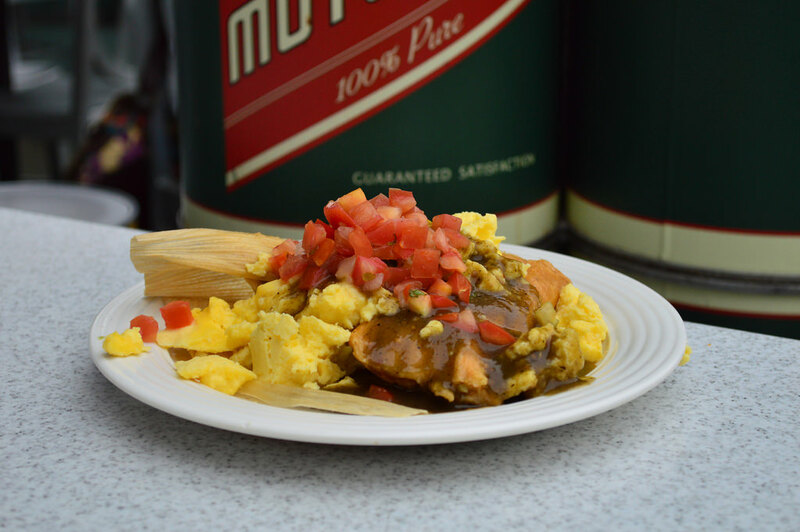 Not only was the food appetizing and delicious, but I was amazed at the variety of options available: Flo’s V8 Cafe features a Chicken Tamale breakfast and the biscuits and gravy from the River Belle Terrace provided a salivating reminder of home. Love New Orleans Style food? The French Market had a bit of Cajun flavor to spice up our night. 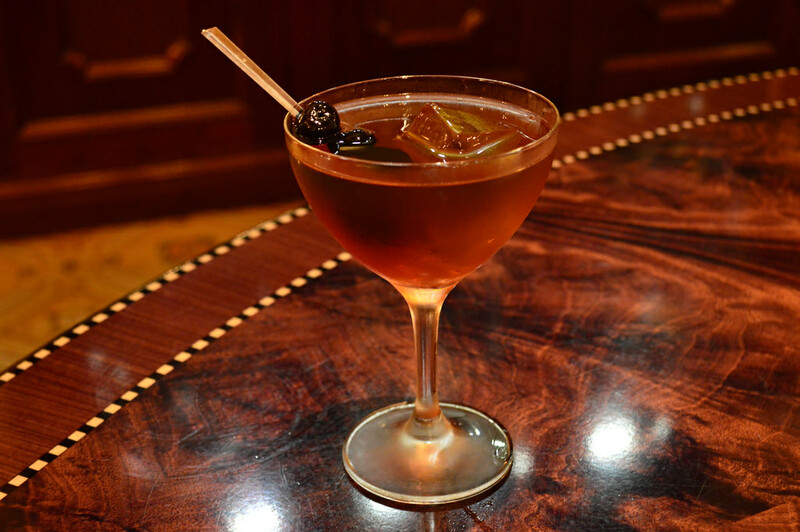 Now we at the SATURDAY SIX love our signature drinks, and what may possess the best chance to dethrone Butterbeer as the greatest signature drink of all time is found smack dab in New Orleans Square. 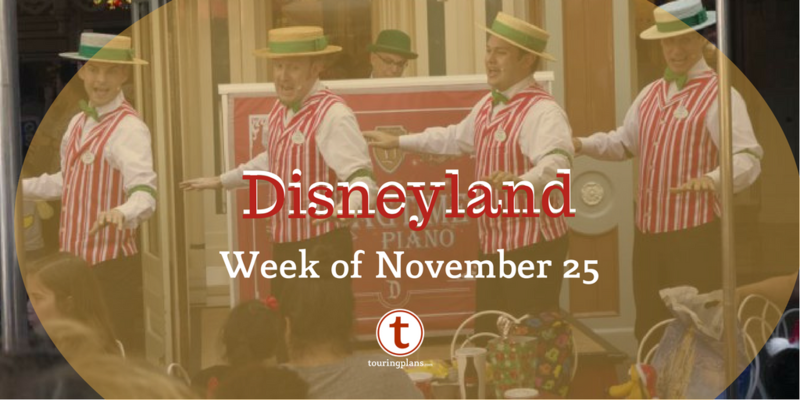 The Mint Julep (non-alcoholic of course) has long been a staple of Disneyland, even having been enjoyed by Walt himself. 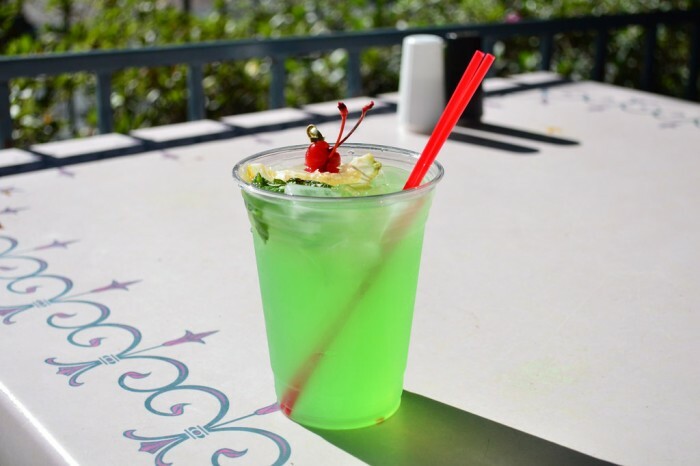 This minty concoction with a hint of lime is the perfect way to cool down on a warm summer day at Disneyland. Mint Julep in New Orleans Square. (photo by Brandon Glover. While we love snacking our way around the parks (have we mentioned the Matterhorn Macaroon from Jolly Holiday bakery? Somebody send the recipe to WDW, stat!) 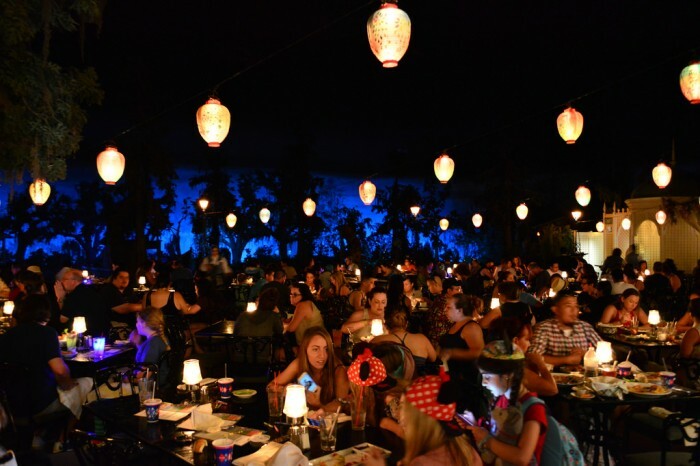 the best surprise came in the form of table service meals at Carthay Circle and the Blue Bayou. Carthay Circle features an exquisite dining room with photos of Walt Disney and many familiar celebrities of the golden age of Hollywood. For lunch we tried the Ultimate Braised Short Rib Beef sandwich and the Carthay Burger. The rib meat was tender and mixed with portobello mushrooms and Parmesan cheese, which made for the best sandwich I’ve ever eaten in a park – a record which ended up lasting less than 24 hours. Carthay also features local wines and craft beers, such as those produced at the local Anaheim Brewery. On the last day of our trip we found ourselves eating at Blue Bayou, which quickly became my favorite restaurant in any theme park. Located inside the Pirates of the Caribbean attraction resides a dimly lit “outdoor” patio where patrons can watch guests flow by as they travel to pirate conquered waters. For the WDW visitor, it’s similar to Mexico’s San Angel Inn at EPCOT, except with even less lighting, if you can believe it. The atmosphere is just incredible. 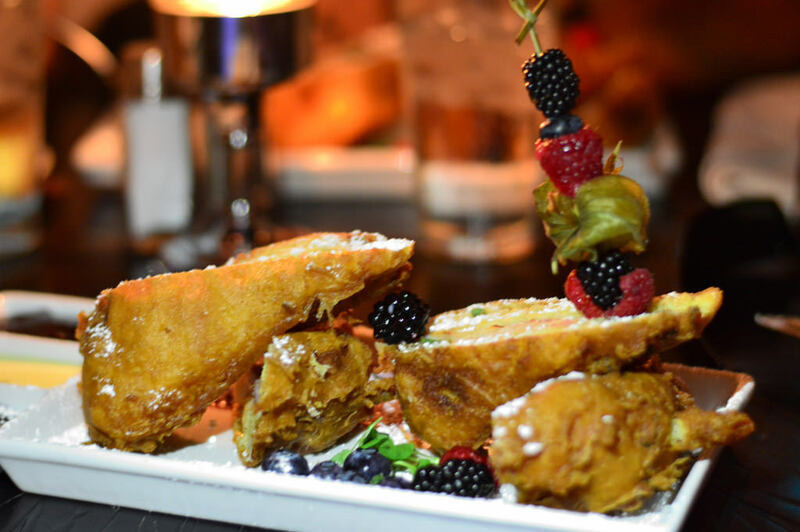 The main focus of this meal was the legendary Monte Cristo sandwich, which some would say is the must-try item for every DL first timer. Spoken in hush terms, this classic turkey, ham and Swiss cheese sandwich is deep fried, sprinkled with powdered sugar, and served with a skewer of fruit (a side salad or gumbo is also included as an appetizer). The currant jelly dipping sauces provided a sensational sweet taste to this magnificent creation. It feels like it should be a dessert or a breakfast item, but then again I would eat this for every meal if I could. 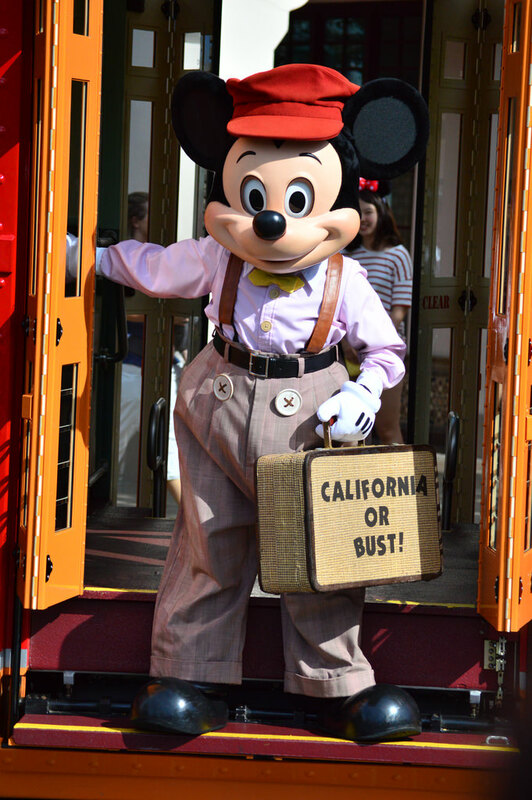 ADDED BONUS – Because Disneyland has a much different dining plan than the one Walt Disney World uses, along with the the nature of the resort being more of a “local” park than a “vacation capitol of the world,” getting into the various restaurants at the Disneyland Resort is MUCH EASIER than popular eateries within WDW. # 5 – Legacy Fast Pass! 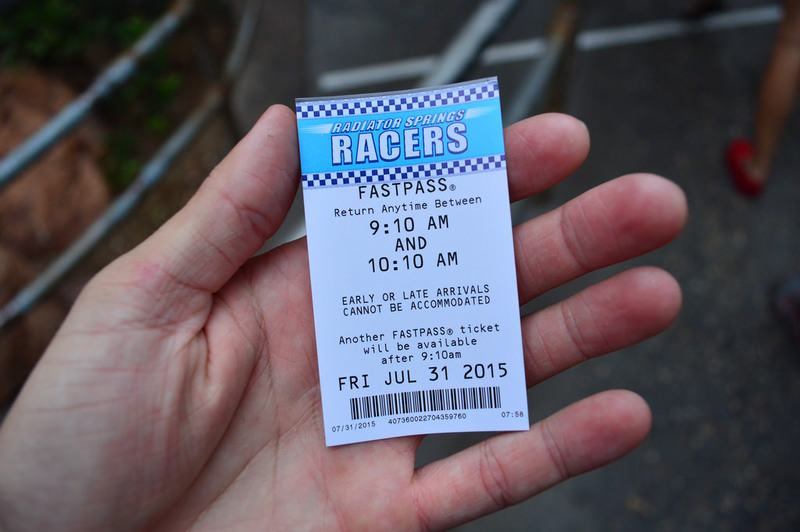 As a WDW visitor, we have the option to book our Fast Passes months in advance. While I do think this is a good idea in some ways, I have always missed the original FP method of walking around the park and picking up Fast Passes as you go. 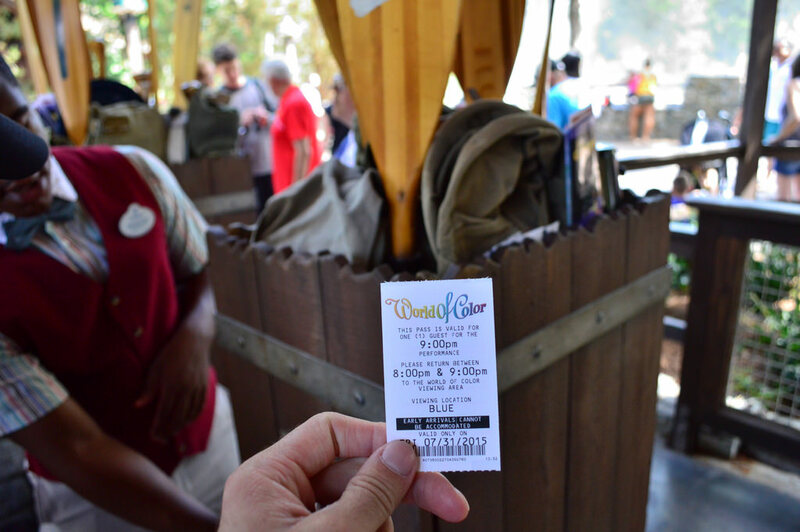 Disneyland still uses the paper Fast Pass system with a couple advantages that we at WDW never had. 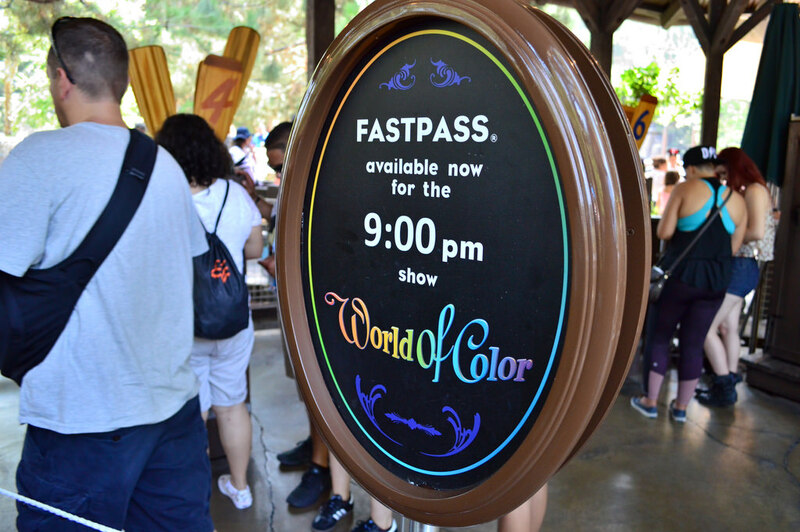 They still operate under the “one FP every two hours” rule, however, this does not apply to Fast Passes for World of Color and Fantasmic – the two nighttime spectaculars. 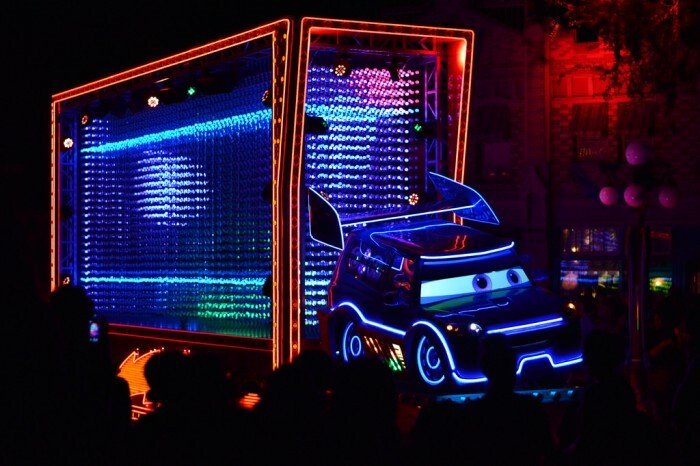 In WDW, you have to use one of your three FP+ selections to gain a FP+ for Illuminations, Fantasmic or even Wishes for the special viewing areas. When you visit Disneyland, you can receive a FP for either nighttime spectacular and still go get another FP for your favorite ride immediately after. Not only does it save you the headache of having to wait for a potential spot in either nighttime show (they have limited viewing areas and are extremely popular) but you can walk to another popular attraction and receive a FP for it as well. Also, not all Disneyland attractions use Fast Pass, so you will still be waiting in lines. Some of the most popular rides (Pirates, Matterhorn) do not offer Fast Pass, but because no one is using Fast Pass the attractions are running 100% of the standby queue instead of a large percentage being dedicated to Fast Pass holders, so the lines move quickly. Regardless, everything at Disneyland is worth waiting for. 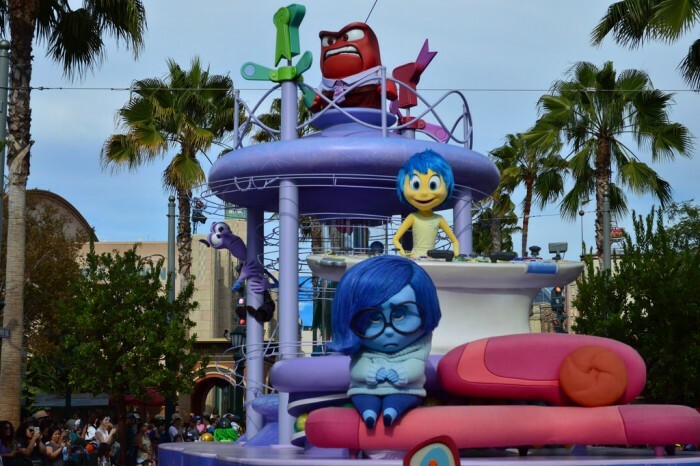 Ok, we recently did an article on the Best Shows at Walt Disney World, an area in which Disney completely destroys its Universal competition in Florida. This is an area WDW excels at, there’s no way Disneyland can be better, can it? OH YES IT CAN. 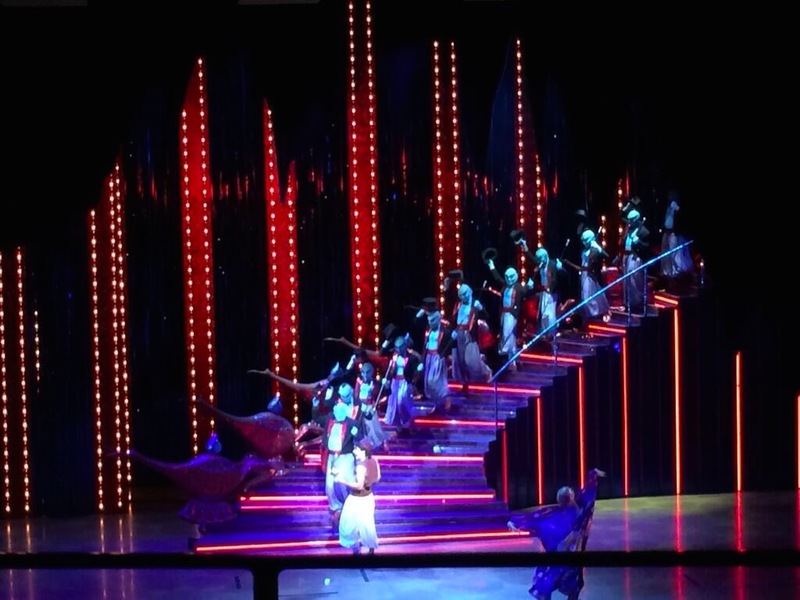 There are not enough words to describe how magical Aladdin – A Musical Spectacular, Paint the Night, and World of Color are. Shows like these separate Disney from everyone else on the planet. Meanwhile there are many other wonderful live performers across both parks, such as the Red Car News Boys in Disney California Adventure and the Jambalaya Jazz band in Disneyland. We were always under the assumption that shows in WDW were great. We were wrong. 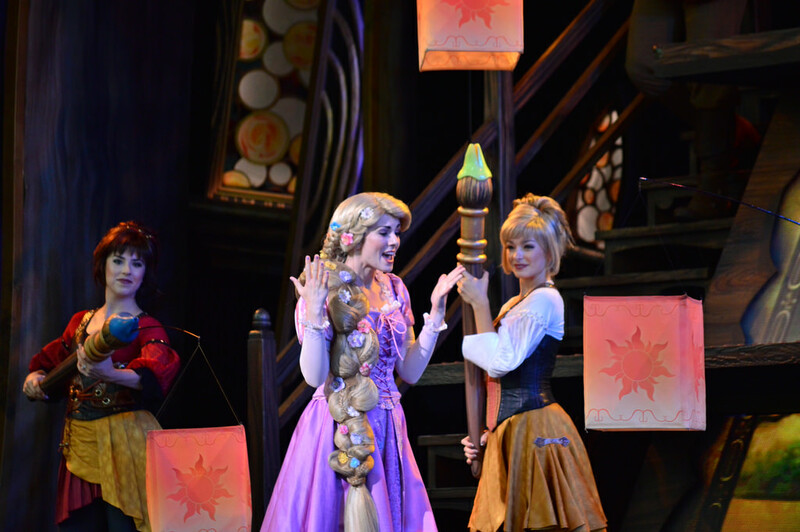 WDW shows are good, shows at the Disneyland Resort are great. From the day Cars Land opened in 2012 it has been one of the things I have looked forward to the absolute most when visiting Disneyland. While admittedly I am not a huge fan of the Cars franchise, I’ve gained a new appreciation for the residents of Radiator Springs after rolling my tires through their city. 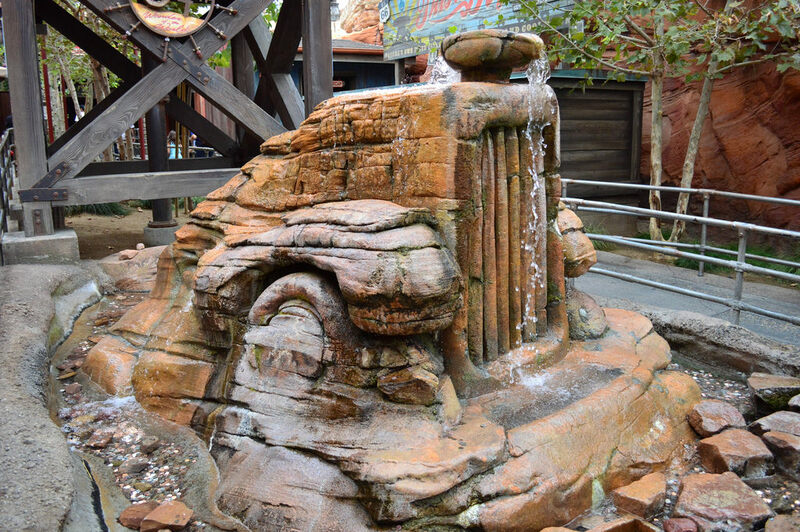 The beautiful rock work found at the Radiator Springs Racers attraction is absolutely the most stunning and realistic rock work I have ever seen inside a theme park. The caverns, waterfalls, and scattered foliage have you fully immersed in the desert landscape. In fact it almost makes you forget you’re in California as you’re racing by. With the feeling of having been completely transported to another place, this is Disney’s Diagon Alley. 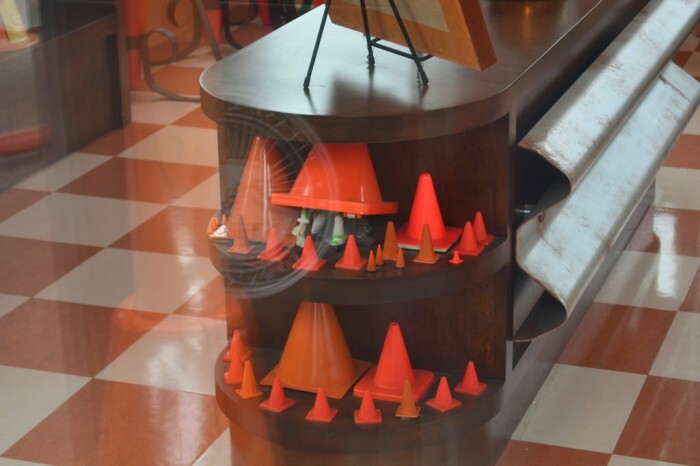 But that isn’t the only incredible feature of Cars Land. On your way to RSR, you will walk down Route 66 which rivals the detail of any main thoroughfare in Disney or Universal. 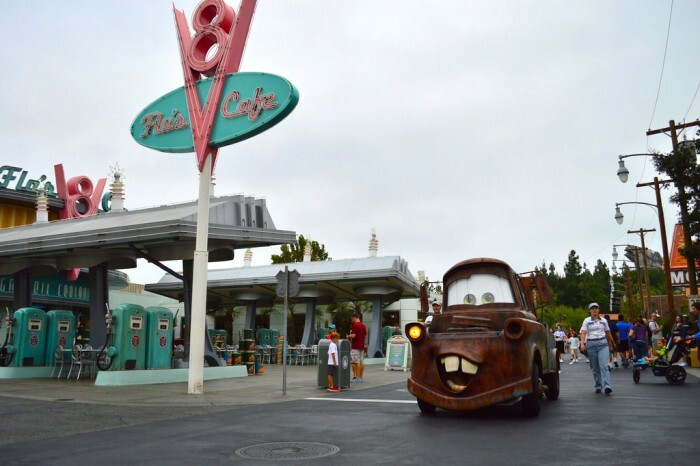 Familiar sights such as Luigis, Flo’s V8 Cafe and the Cozy Cone Motel bring you right into the middle of the Cars Universe. The highly detailed stores and eateries not only feature many homages and familiar sights to the franchise, but it’s also outlined brightly at night with a brilliant palate of neon lighting. 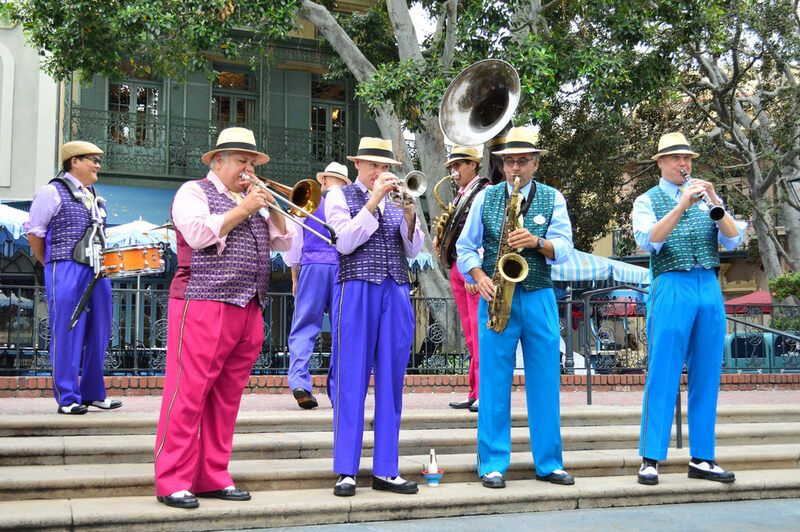 Reminiscent of a World Showcase pavilion, the New Orleans Square area of Disneyland brings the heart of Louisiana to life with the sights, sounds, smells and tastes of the bayou. 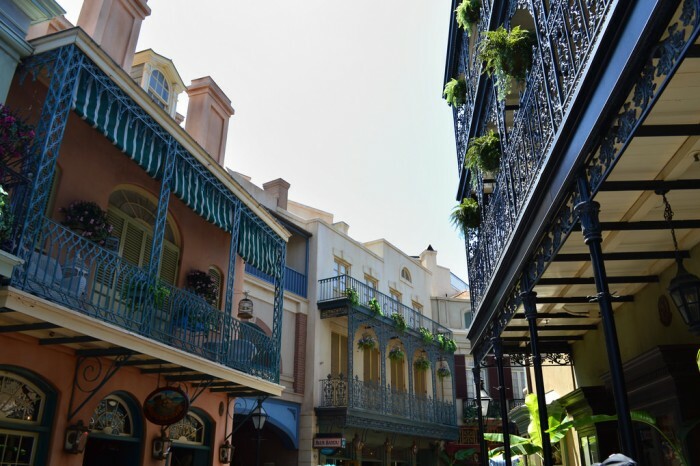 New Orleans Square is also one of the most important lands in the history of theme parks, as it not only was the first major addition to the original Disneyland, but it holds two of the all time great Disney rides with Pirates of the Caribbean and the Haunted Mansion. Talk about a 1-2 punch. It was also the first land created by Disney that was not an artistic impression of an idea (such as Tomorrowland) but instead a portrayal of an actual place, and the Imagineers nailed it. Along with the world class rides, there are no shortage of quality food and drink. Whether you’re enjoying the Monte Cristo at Blue Bayou, or sipping a Mint Julep while listening to the Jambalaya Jazz Band, this is one of the most relaxing areas in any Disney park. “You can feel Walt’s presence in Disneyland.” I have read that phrase (or versions of it) in books, magazines, and blogs, along with hearing it on countless podcasts. I am here to say that it is absolutely true. We have seen untold advancements in the theme park world, not only at the Disneyland Resort but here in Florida and across the world but there is something about the Disneyland park itself that just feels special. What makes Disneyland rise above its contemporaries is not just its attractions (which it has more of than anyone else) but the Cast Members who seem to have a personal investment in the park. 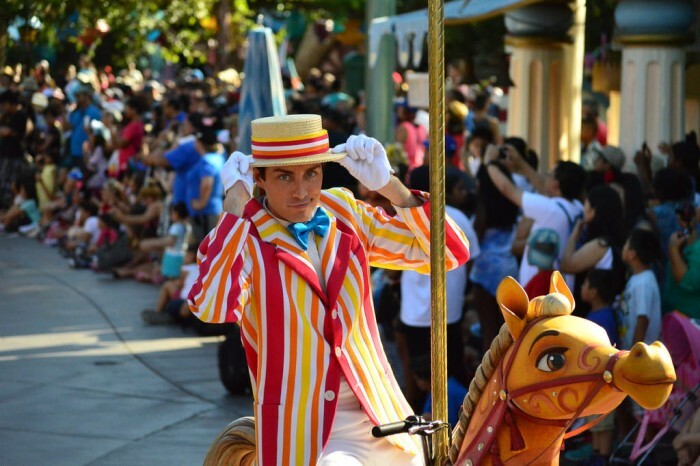 At the SATURDAY SIX we’ve always felt that the front line Cast Members at Walt Disney World are the true unsung heroes of the park, but their Disneyland counterparts are in another league. The Disneyland CMs act with more of an ownership of the park, and that type of TLC translates directly towards the guest experience. They are walking the streets that Walt walked. They are working the attractions that Walt dreamed of. And they are providing the type of guest experiences that Walt expected, something that has been lost along the way at other theme parks. One of the most important features of any vacation is the ability to get to and from your desired destination with ease and timeliness. In Orlando we have two competing ideas in WDW and Universal. With its blessing of size, unless you’re staying at a Magic Kingdom or EPCOT resort, you may be taking several forms of transportation to reach a desired park or location at WDW. For Universal, everything is centered around CityWalk and is within waking distance (or a short bus ride for those of you whom venture to Cabana Bay). 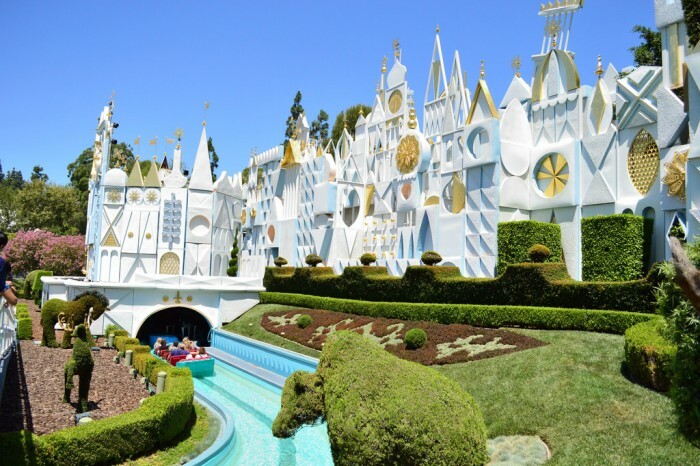 The Disneyland Resort is in some way a hybrid a both, having the massive amount of attractions you’ll find at WDW all within the intimate space of Universal Orlando. Both Disneyland and DCA’s entrances face each other on the promenade, which makes park hopping a breeze. One great bonus feature of the Disneyland Resort is for those staying at one of the three onsite hotels. 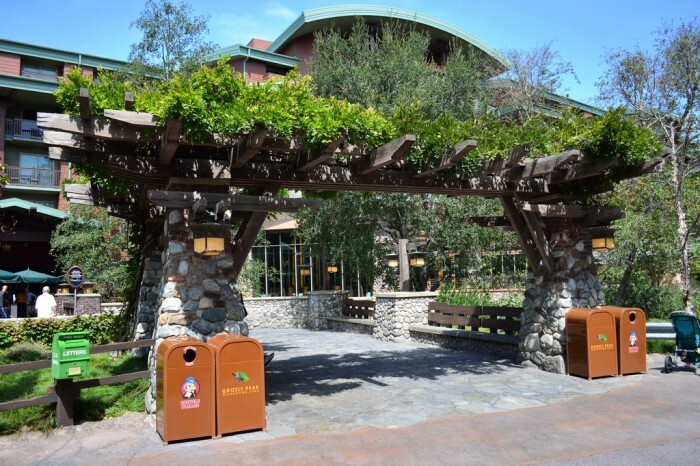 There is a special entrance to DCA at the Grand Californian Hotel. 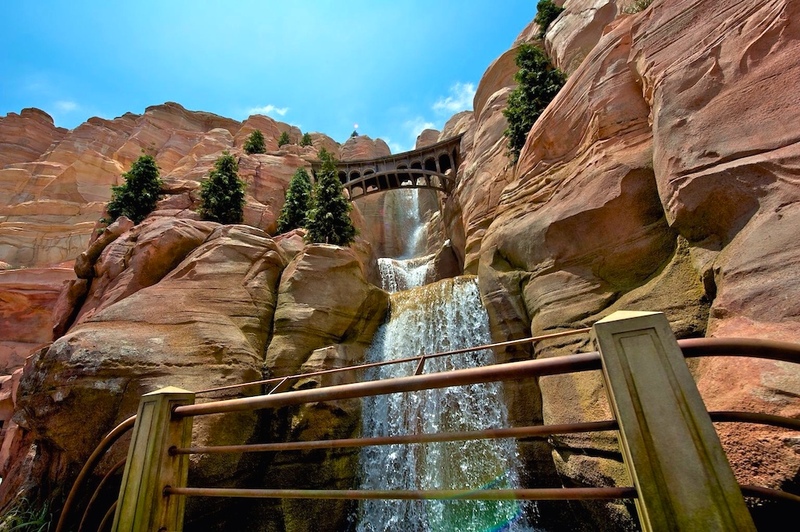 Located in the Grizzly Peak area of DCA, you’ll be able to enter/exit the park from here during the extra magic hours, as well as have a quick path back to your room after getting soaked on Grizzly River Run. Pro tip: if you’re looking to beat the crowds to Radiator Springs in that extra morning hour, take a right and head towards Paradise Pier. Thanks to a helpful CM, we were directed to the quickest route for Cars Land and what was surely to be the longest wait of the day. We stayed onsite at the Paradise Pier Hotel, located right behind its namesake land with a excellent view of the park. To get to the parks all we had to do was cross the street and go through the Grand Californian. There we could either choose to enter DCA from the special gate or head into Downtown Disney, which leads right up to the promenade featuring both parks. The walk to the parks took us ten minutes, give or take, on a leisurely walk. For the monorail fans, Disneyland features its own unique monorail that takes guests from the Disneyland Hotel to DTD, with its last stop inside Tomorrowland before looping back to the hotel. 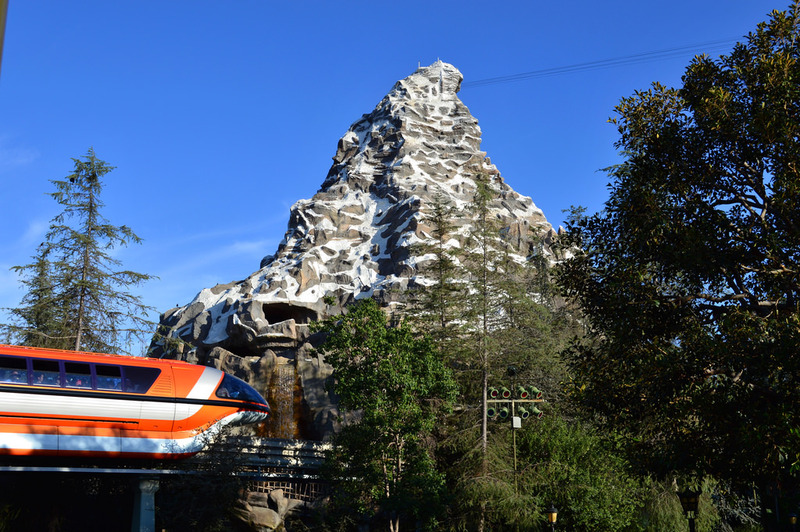 You will need a park ticket to exit into Tomorrowland, but can also ride the monorail around to take in the majestic wonder that is Disneyland. Between the ease of getting from park to park, the ability to get restaurant reservations without having to be up at midnight six months before your vacation, having two parks with more attractions and shows than four Orlando parks put together, and the old Fast Pass system, the main difference between the Disneyland Resort and Walt Disney World becomes clear. 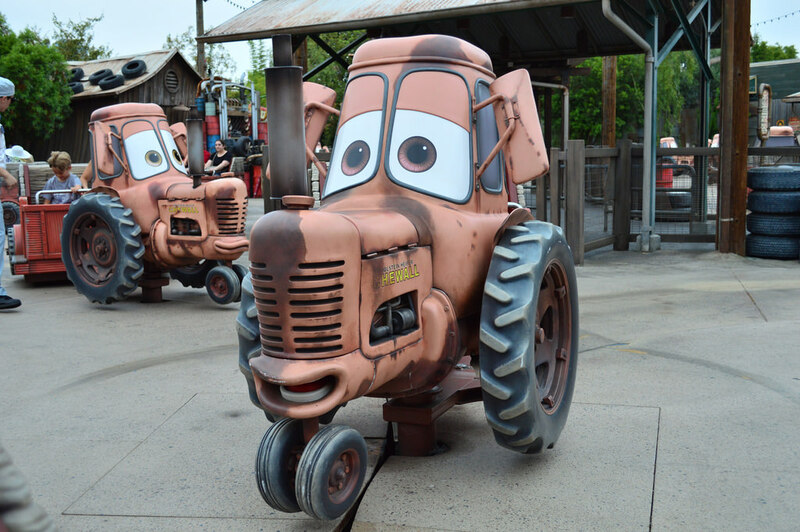 WDW makes you work – and work hard – to have fun on your vacation. Disneyland makes it easy, and that’s why I can’t wait to go back. Dinosaur at Animal Kingdom has long been one of my favorite attractions in all of WDW since its origin as Countdown To Extinction. While Dinosaur has seen better days, along with a more intense storyline that was dropped, it remains one of the most thrilling rides in the country. That is until I found myself deep inside the Temple of the Forbidden Eye. As theme park fans may or may not know, the Indiana Jones Adventure shares the exact same ride layout and ride system as Dinosaur; however, that is where the similarities end. 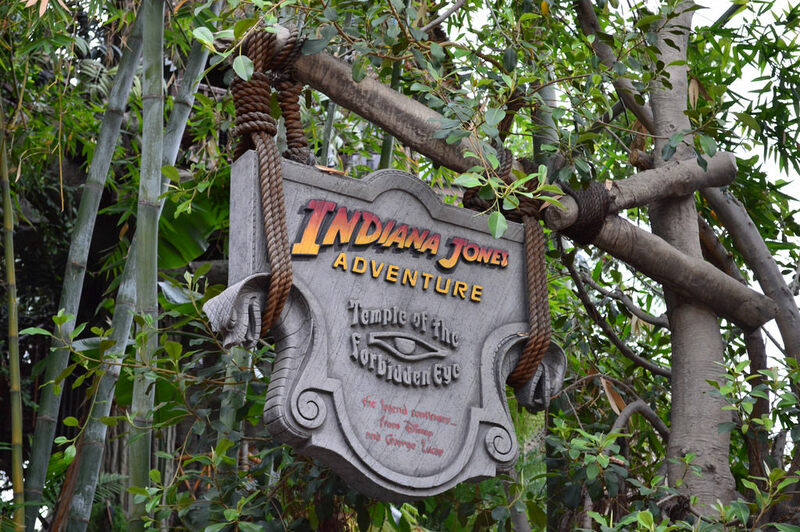 The Indiana Jones Adventure frantically whips guests through the Temple of the Forbidden Eye into barely lit corridors full of snakes and supernatural traps left behind to ward off treasure hunters. The frantic pace and jaw dropping effects make this adventure stand tall above all other theme park rides – even including what The Boy Who Lived has brought to the table. I‘ll always have a soft spot in my heart for the mischievous Dr. Seeker, but the Indiana Jones Adventure is my jam. There was a time growing up when it seemed all characters at Walt Disney World were roaming characters, at least that’s how my mind remembers it. As meet and greets have exploded in popularity, the spontaneity of running into characters who are roaming the parks is pretty much gone. While being reduced in number, there are still characters roaming Disneyland and it brought me right back to my childhood. Being able to stroll around Fantasyland with Mary Poppins, or seeing Captain Hook playfully scaring guests adds to the overall magic at Disneyland. Thank you for another spot-on, letter-perfect comparison/description of both USA parks. There’s enough love to go around no matter which coast we’re fortunate enough to visit. In short, loved this list. I love seeing WDW veterans’ reactions to their first Disneyland visit. Having spent my whole life in Orlando I don’t remember my first WDW visit, but I will never forget my first visit to Disneyland. When my husband (boyfriend at the time) took me to Disneyland for the first time in 2005, I was a WDW Cast Member. When I told my fellow Cast Members that we were flying out to Cali to go to Disneyland (especially considering I basically has no money) they thought I was crazy. Why would you fly to Disneyland when you work at WDW and can go here any time? It was a short trip, but I came back with tons of pictures and stories. I remember sitting around the breakroom sharing the stories and pictures with my fellow Cast Members and they were enthralled. 10 years later we go every year (my husband is originally from Southern Cali). And it is cool to see how each year more and more WDW veterans make the pilgrimage to the place that started it all. The entertainment is better because this is Hollywood. 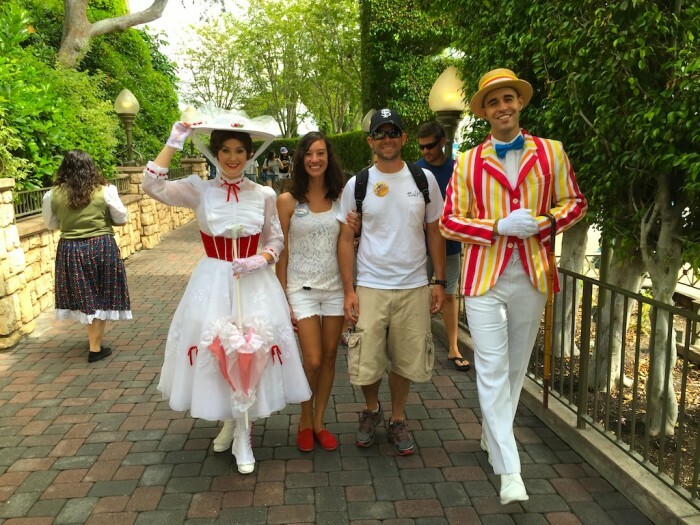 Each entertainment cast member treats there role like an audition to make it big in show biz. The food is better because Disneyland has to excel at food and beverage so you don’t walk 10 more minutes outside the gate and to dine at the plenty of restaurants along Harbor Blvd. MyMagic+ will eventually come to Disneyland, unfortunately. But hopefully it will be a revised version that makes sense for Disneyland, which is a very different demographic than WDW. My number one reason for loving Disneyland over the Magic Kingdom, is indeed you can feel that Walt was here. It’s incredible how you can feel it. Glad you enjoyed your trip, Brand, and thanks for capturing it so well, Derek! Disneyland’s thrilling PIRATE’S OF THE CARIBBEAN is a far better attraction when compared to the Magic Kingdom version at WDW. There will be a RADIATOR RACERS at Hollywood Studios/WDW (old backlot tour area) I suspect. 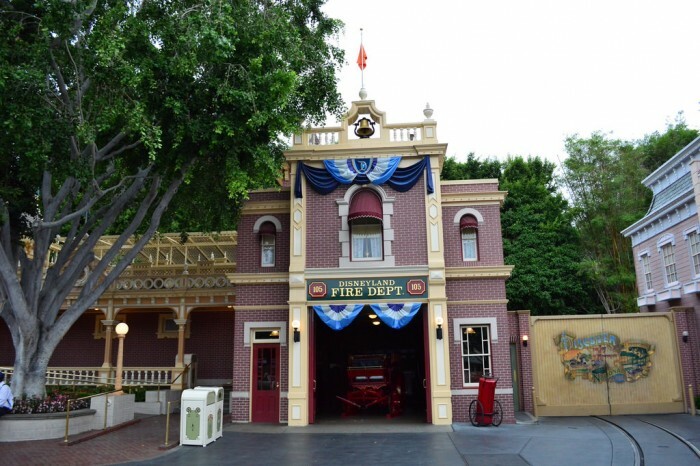 Great post, from another WDW pass holder just back from Disneyland (my second DL trip ever). Very nice article. I am a resident of Orange County, CA who grew up on the East Coast going to WDW, but Disneyland have easily become my favored park over the Magic Kingdom for many of the same reasons you raise here. I had a similar experience with the Indiana jones ride. It blew my mind the first time i rode it in 1999. Six years later i first discovered the Dinosaur ride in WDW and realized the relation between the two rides but having experienced Indy first and countless numbers of rides, the Dinosaur ride just felt like a less thrilling bland version of Indy. One minor correction for the article: when NOS opened in 1966, neither Pirates or Haunted Mansion were open yet. 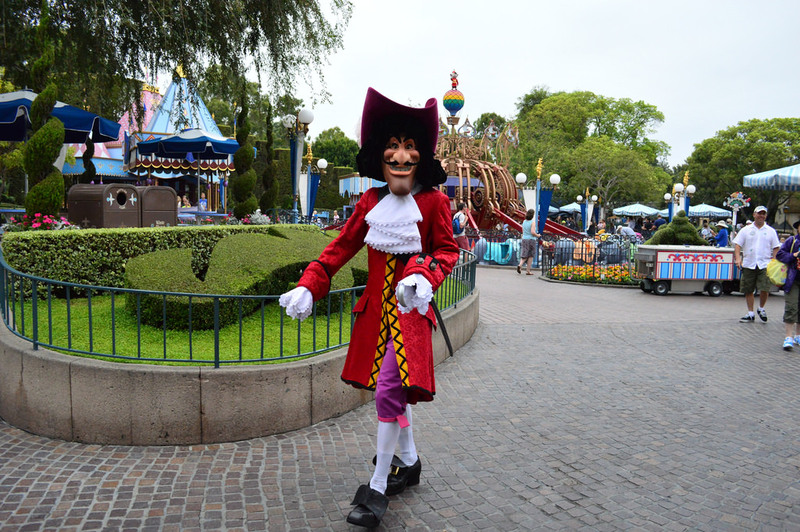 Pirates debuted the following spring and Haunted teased guests for almost three years before finally opening in 1969. Cheers! Thanks for the info Ryan, made an update in the article. My wife and I go to WDW several times a year and we were able to go to Disneyland for the first time two years ago and it was such an amazing experience. Three prized momentos from that trip are our tiki mug from Trader Sam’s, a straw fedora Disney hat and our picture with the Mad Hatter in front of the Alice in Wonderland ride. I know the Poly has a Trader Sam’s now and I saw the same hat at WDW, but I know where we got them. Agree 100% with this list. We went to Disneyland for the first time last year, and I loved it, but in a totally different way than WDW. I really want to go back asap. New Orleans Square is my new favorite land. And number 2 is just so true. How about holiday overlays as another honorable mention? We went during Halloweentime so we got to see Haunted Mansion Holiday, it was amazing to see a favorite ride transformed into something so fun and different.